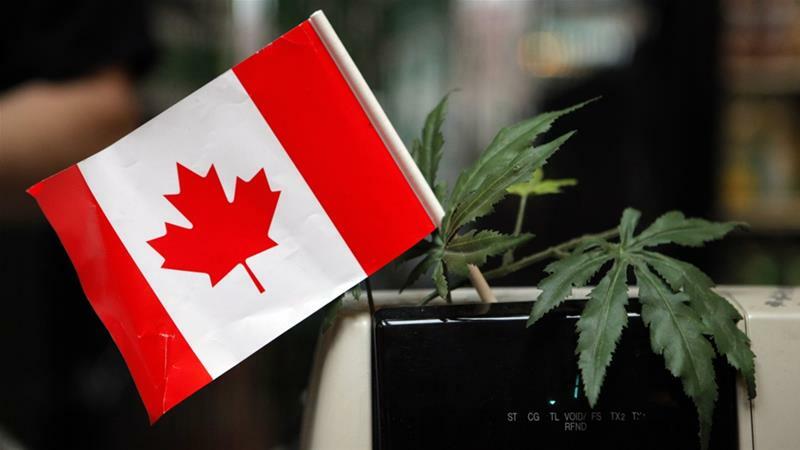 Canada has become the second country after Uruguay to legalise possession and use of recreational cannabis. Legal pot has been an inescapable topic for months in Canada, as governments and companies prepared in earnest for 17 October. 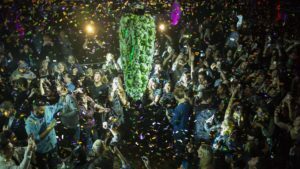 The first recreational cannabis to be legally bought in Canada was purchased at midnight on Wednesday (02:30 GMT) on the eastern island of Newfoundland amid queues of hundreds of people. Cannabis possession first became a crime in Canada in 1923 but medical marijuana has been legal in the country since 2001. Legalisation fulfils a 2015 campaign promise by Prime Minister Justin Trudeau, the leader of the governing Liberal Party. The prime minister has argued that Canada’s nearly century-old laws criminalising use of the drug have been ineffective, given that Canadians are still among the world’s heaviest users. He said the new law is designed to keep drugs out of the hands of minors and profits out of the hands of criminals. The federal government also predicts it will raise $400m a year in tax revenues on the sale of cannabis. A number of analysts are predicting a shortage of recreational marijuana in the first year of legalisation as production and licensing continues to ramp up to meet demand. Ontario, Canada’s most populous province, will only begin opening retail stores next spring, though residents will be able to order cannabis online. British Columbia, one of the provinces with the highest rates of cannabis use, will only have one legal store open on Wednesday. Until retail locations are more widely available, some unlicensed cannabis retailers, which have flourished in the years since the law was first proposed, may stay open. 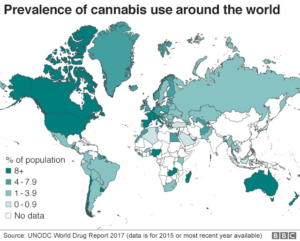 With global trends shifting away from a strict prohibition of cannabis, the world will be watching this national experiment in drug liberalisation. Medical marijuana is also gaining ground in many European countries. Portugal and the Netherlands have decriminalised the drug. South Africa’s highest court legalised the use of cannabis by adults in private places in September, though the sale of the drug remains a crime. In April, Zimbabwe became the second country in Africa, after Lesotho, to legalise the use of marijuana for medical purposes. Nine US states have legalised recreational marijuana use while many more allow its use on medical grounds. It will be illegal to possess more than 30 grams in public, grow more than four plants per household and to buy from an unlicensed dealer. Penalties for some infraction will be severe. Someone caught selling the drug to a minor could be jailed for up to 14 years. Some critics say the penalties are too harsh and not proportional to similar laws like those around selling alcohol to minors. On Monday, the Canadian Medical Association Journal published an editorial calling legalisation “a national, uncontrolled experiment in which the profits of cannabis producers and tax revenues are squarely pitched against the health of Canadians”. There are also still some legal wrinkles to be worked out. What is your take on this? Is Nigeria ready for such radical change? Drop your opinions in the comment section.